Hanoi (VNA) – Vietnam’s exports to Algeria continued to grow by 29 percent year-on-year to 208 million USD in the first seven months of 2017 after rising by 37 percent in the first half, according the General Department of Vietnam Customs. Coffee remained the largest earner which saw a shipment of over 35,300 tonnes for about 76 million USD (up 12.8 percent), followed by telephones and spare parts valued at 58 million USD (up 5 percent). Rice came third with exports worth of over 10 million USD, jumping five-fold from the same period last year. Algeria is now Vietnam’s second largest importer in Africa, after South Africa. 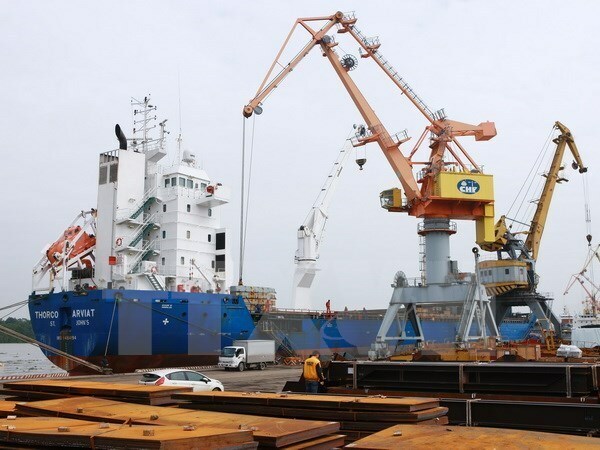 Vietnam’s shipments to Algeria were estimated at 271.42 million USD in 2016, a year-on-year increase of 37 percent with most of the revenue also coming from coffee and rice. Last year, Vietnam’s trade office in Algeria organised an array of trade promotion activities, including five workshops on bilateral trade potential. It also assisted two delegations of Vietnamese businesses to attend international fairs and stepped up communication activities there such as publishing business news bulletins in French. The Ministry of Industry and Trade also sent staff members to Algeria to work with local ministries and agencies, seeking ways to boost cooperation in the time ahead. Vietnam-Algeria economic cooperation prospects are plentiful, with Algerian consumers familiar with Vietnamese goods, while Algerian animal feed, medicine and natural minerals are sold in Vietnam.